Celebrating 50 years of the model car label. After revealing the first “Bone Shaker” colorway, PUMA has now unveiled all three sneakers in its upcoming collaboration with Hot Wheels. 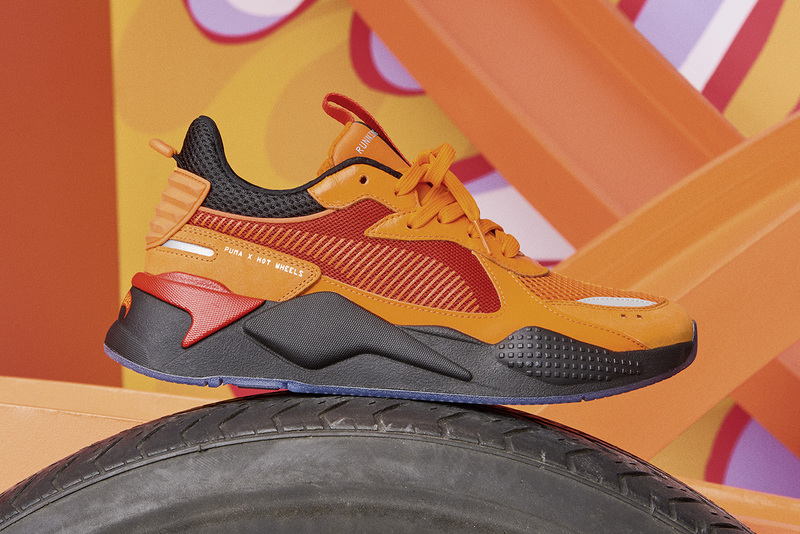 Celebrating the toy car brand’s 50th anniversary, the collection sees three versions of the RS-X sneaker inspired by different models from the Hot Wheels archive. As well as the “Bone Shaker” model — which comes in a black and gold colorway — the pack features a bright orange RS-X as a nod to the 1968 Camaro custom edition. The third sneaker in the capsule features a blue upper, and is inspired by the first collection of Hot Wheels die-cast cars, known as the “Original Sweet 16” collection. The sneakers will drop alongside an apparel capsule on November 15, via the PUMA web store. For more from PUMA, check out a remastered Staple Pigeon PUMA Suede. Ahead of the collaboration’s highly-anticipated release. Referencing a classic 1980s Vans design.